The Alameda County Board of Supervisors voted on Tuesday to approve a lease agreement that would keep the Oakland Raiders football team playing at the Coliseum for at least one more year. 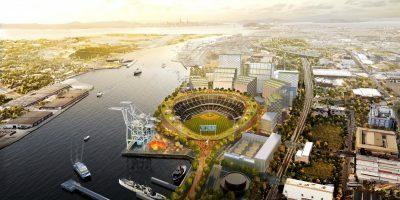 The board’s vote follows a unanimous vote by Oakland-Alameda County Coliseum Authority commissioners on Friday to approve the lease agreement. The final hurdle for the agreement will come on Thursday, when the Oakland City Council votes on it. The National Football League has imposed a March 24 deadline for the Raiders to find a place to play their home games this fall. The Raiders plan to move to Las Vegas in the near future but a new football stadium that’s being built for them there won’t be ready until the fall of 2020 at the earliest. However, nothing materialized so the Raiders resumed negotiating with the Coliseum Authority. Scott McKibben, the authority’s executive director, said after the authority’s board meeting on Friday that the lease agreement calls for the rent the Raiders pay to the authority to increase by $4 million this year, from $3.5 million to $7.5 million.